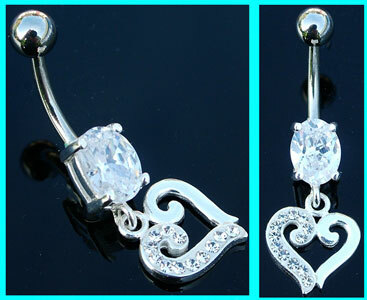 The heart design measures 11mm x 10mmm with clear crystals set into the left hand side, and the bar itself has a clear oval stone. Powered by ShopFactory to sell P11134 online. All-in one eCommerce and online shopping cart software.